Android is clearly going places and my guess is that Android Smartphones will be the "Desk phones" of the future, delivering true, seamless mobility to employees. In the office you will dock your Smartphone and allow it to charge - and use the phone with a bluetooth headset. The touchscreens offer usability far beyond the usability of current desk phones. When not in the office, you can use your office extension anywhere there is wifi or 3G and have seamless access to the PBX without having the hassle of setting up call forwarding and so on. 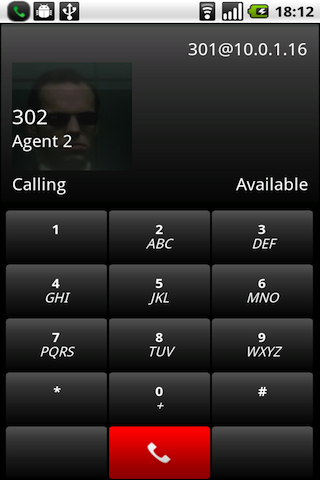 It should come as no surprise then that we have developed a version of 3CXPhone for the Android platform. A beta of our Android SIP phone is available here. 3CXPhone for Android is based on a proven Android SIP phone, SIPagent, which was purchased by 3CX recently. And we are not leaving it at that - we are planning to add many features to the phone. At the same time we plan to keep it Free and open standard. Now that VoIP is possible on iOS4 are there any plans for an iPhone 3CX app? Also does the andriod app use tunnelling to work away from the office? I have tried it on my phone and works brilliatnly. Better than other apps our guys are using on their iPhones at the moment. Looking forward to the iPhone app as well. Lots of demand in the market for that ! 2 points though, oddly enough, doesnt have a "mute" button while transferring calls. And puts the phone on speaker phone directly (dont know if it is a common issue). I just downloaded the Android SIP phone app, but I cant find where to report a bug. I noticed that when the proximity sensor on my Nexus One is activated, the call becomes very distorted. Is it because the phone is falling asleep? This is truly a great piece of work.